2017 recruit Brady Tkachuk scored the game-tying goal on a deflection and 2018 (or 2019) recruit Joel Farabee knocked in the game-winner as the NTDP U18s registered a comeback win against Waterloo. Tkachuk, who has an 18-21-39 scoring line, redirected a blueline blast from 2017 recruit David Farrance with less than six minutes left in regulation. Farabee, who had been the U17s top scorer before being brought up to the U18s, converted a rebound with just 10 seconds left in the period. Farabee has two goals and three assists in six games with the U18s. 2017 recruit Shane Bowers had an assist for the Blackhawks. Cameron Crotty, D – Brockville Braves (CCHL): A shoulder injury kept him out of the spotlight for a while, but Crotty is back and has three points in his past three games. The Boston U. commit is a puck-moving defenseman with good size and great skating ability. 2017 recruit Hank Crone scored his 18th goal in Fargo's 4-2 win over Tri-City. 2020 recruit Trevor Zegras scored his team leading 18th goal and added an assist as Avon Old Farms defeated Proctor, 8-5,to advance to the NEPHISA Large School tournament semifinals. 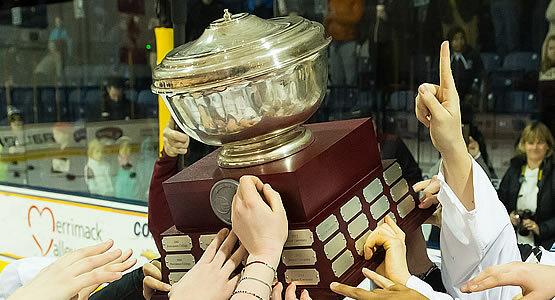 Seeking a sixth Hockey East tournament championship, BU will host Northeastern in the conference semifinals at Walter Brown Arena today at 4:30 p.m. The Terriers have defeated the Huskies in the semifinals in each of the past four seasons. The teams have met three times this season with Northeastern winning twice in October and BU taking a 7-2 victory last month. BC and Vermont meet in the other semifinal, also at WBA today (1:30 p.m.). The winners meet tomorrow for the title at 1:30. The game will air on NESN+ and American Sports Network. Three Terriers were named to conference all-star teams at the Hockey East awards banquet on Friday. Junior Victoria Bach and senior Victoria Hanson earned first team all-star honors, while grad student Mary Parker was named to the second team. Bach led the conference in points (47) and assists (25). Hanson had a 13-7-4 record along with a 2.31 goals against average and a .930 save percentage. Parker led the league in goals with 23 and was second in points with 41. 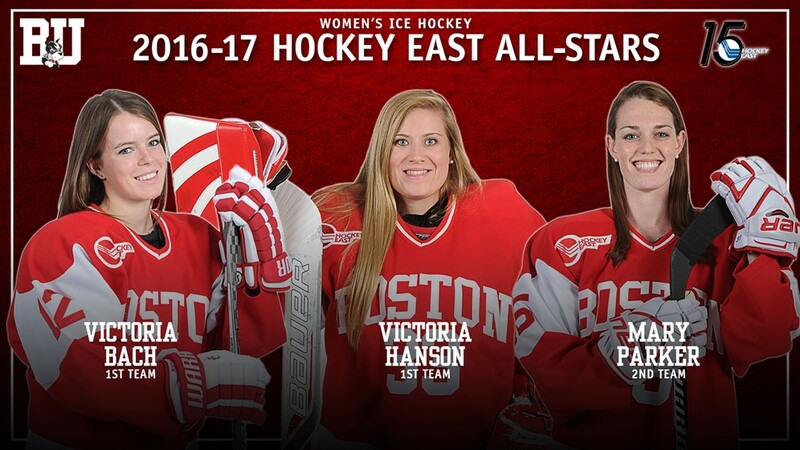 Freshman defenseman Abby Cook was named to the Hockey East All-Rookie team.